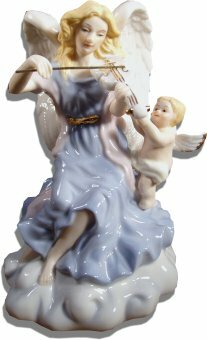 This is a beautiful porcelain angel musical figurine fitted with a clockwork music box movement. The angel is playing a violin whilst a cherub looks on. As the music plays the whole figurine rotates on its base.